One of my new years resolutions was to collaborate more with designers and companies doing stuff that I really love - and also working on stuff that I couldn't produce myself! A few days into Janaury, I had an email proposing a very fun idea, and I was pretty much sold from the start! 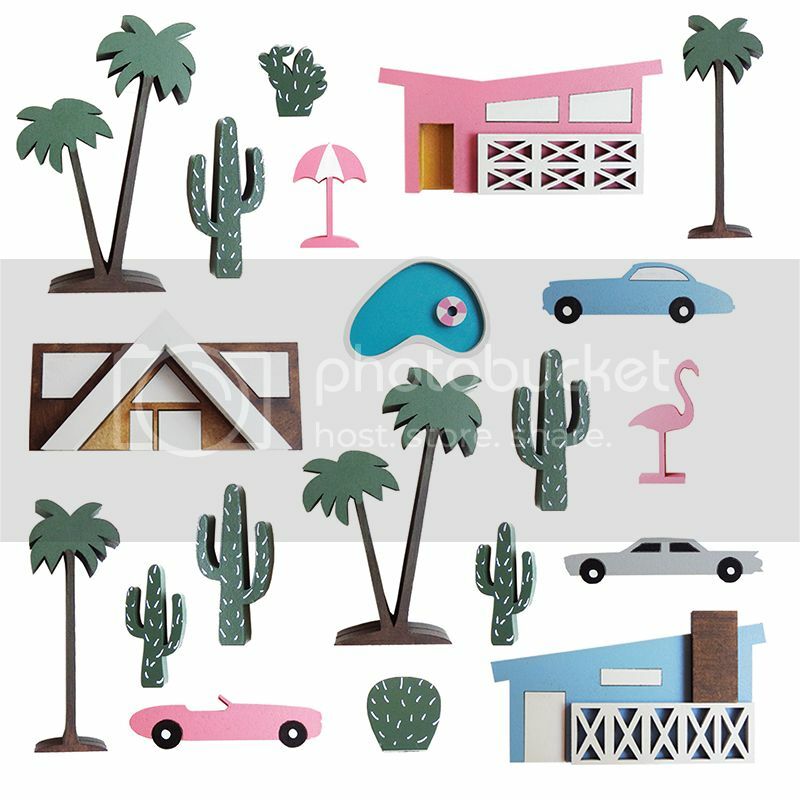 I've been working on a special collaboration with fun Australian company, to produce a line of Palm Springs themed items! I've been working with Jimmy Cricket on a range of wall stickers, and another VERY special homewares item which is still a secret for now... The suspense is killing me! The wall stickers will be available for pre-order very soon, so keep an eye out on the Jimmy Cricket website for more details.